Have you ever had that friend or family member who constantly complains about something from the past? You know, that person who has told you hundreds of times how they feel about something that happened years and years ago. Eventually it gets so old that you don’t even care anymore. It just causes you to sigh, roll your eyes and you tell them to LET IT GO (I apologize if that triggered a song from a certain animated movie). At one time, you might have even agreed with their position, but since you’ve heard so much complaining, not even you care anymore. That’s what Star Wars Prequel Bashers have become. They might as well be Uncle Rico complaining about how much better the football team would’ve been if they’d just put him in. Instead, people are still complaining as if the prequels would be better if George Lucas would’ve let them take over. If Lucas had put me in…we would’ve won an Oscar. The Phantom Menace came out 16 years ago. Revenge of the Sith came out 10 years ago. Meanwhile, new movies, TV shows and theme parks are being made, and people still find ways to complain about stuff that’s over 5,400 days old. All of this is happening and yet people are finding ways to continue to whine and nag about the prequels? How does this even make sense? With two months until the release of The Force Awakens, we should be uniting. Star Wars fandom is no longer about those of us who grew up with the original trilogy. It’s multi-generational. Every fan should be thankful because THAT is going to be key to the future success of Star Wars. We now have legions of fans that are going to buy merchandise, play games, watch movies/TV shows, go to conventions, visit theme parks and show off their Star Wars pride. Think about that for a minute. Aren’t you glad Star Wars is THAT big? It means you don’t have to consistently explain what it is or why you love it to people who have never heard of it (or get it). Some fans love the originals, and some grew up with the prequels. For others, Star Wars Rebels is their first exposure to the franchise, and there’s probably people out there watching Episodes 1-6 for the first time so that they can experience a movie in the theater. While all that’s going on… people are still bashing the prequel movies? As mentioned earlier, I am one of those people who can agree with some of the issues that fans had about the prequels. However, hearing people complain all these years later has me rolling my eyes more than nodding in any sort of agreement. It should be noted that I’m mainly talking about bashing opportunists and jaded fans. These are people who are working hard to find ways to interject their complaints into the joyful conversations most of us are having about our passion or the future of the saga. I hated to see the announcements for The Force Awakens turn into a way for original trilogy and prequel fans to strike up the old feuds. It goes without saying that each generation will experience the new movie differently. Why do those differences have to be a point of contention? Well, one reason is people still want to complain and fight over 10+ old arguments. This leaves me to wonder — What’s the point anymore? I get the impression that some of the haters have the same problem that Doc Holiday talked about in Tombstone. They have a hole in them that is so big, they can’t ever complain about the prequels or attack those who like them enough to fill it. At a time where there’s much more to be excited about, having a problem like that is bigger than any of the issues the prequels had. It’s as comical as it is exhausting to have a prequel basher use any Star Wars conversation or platform to get in their usual jabs about George Lucas, Jar Jar Binks, ruining Star Wars or other prequel bashing hits. You didn’t like them. Others do. That’s the way movies work. Now move along. You’re embarrassing yourself. I understand that some in this camp are just trolls looking to get everyone riled up, and that’s a whole other thing. Yet, the reaction to them should be the same – snicker, roll your eyes, facepalm, shake your head, etc. Then, spend time thinking about what you love about Star Wars and smile. Again, I like the original trilogy more than the prequels. A big part of that has to do with my generation. As a result, I have my own reasons for why I’m excited for the new movie that might differ than others. However, I bet there are plenty of reasons for my excitement that are exactly the same as other generations – and that’s what we should be celebrating. It all could’ve ended in 1983. Yet, here we are in 2015, and Star Wars is bigger than ever. It’s better to indulge in it instead of complaining about one part of it that happened 10-15 years ago that you didn’t like. The saga and the fandom has grown, and there’s room for everyone. Incessant complaining about old frustrations no longer brings any value, meaning, relevance or credence to what’s happening today. If more prequel bashers can embrace that idea, I think they’ll feel better. It will also reduce the amount of eye rolls they’ll get. Contact Scott at Scott@AssemblyofGeeks.com or on Twitter @MrScottMurray. Next article The Caffeinated Collector: Episode 21 - Ready, Set, Playset! Previous article Sarah Michelle Gellar Makes Her 'Star Wars Rebels' Debut Next Week! I basically agree with your point. Though it does strike me as remarkable how often you feel the need to repeat that you actually don’t like the Prequels although a preference for or against the Prequels has little to do with the correct point that you are making. It seems as if you are taking into consideration that others would view a Prequel-liking as invalidating your otherwise correct point. And it was about time that those who dislike the Prequels are asking themselves how the fandom has got to that point that even those who dislike the Prequels feel compelled to keep confirming their dislike. I am a Star Wars fan since 1977 when I was 11 and sat in the cinema to watch A New Hope. I have loved the Prequels that I could enjoy together with my own daughters. Yet since 1999 I have had to suffer ‘Star Wars fans’ who would (1) use every opportunity to tell me I wasn’t a “true fan” (as if something like that exists in the first place) and (2) who neither weren’t able to let my daughters simply enjoy the Star Wars of their generation, the Prequel Trilogy. I look forward enormously to The Force Awakens and I have my tickets to watch the midnight screening with my daughters … but mentally I also prepare for the probably inevitable … to many Star Wars fans who will be using every nice shot of TFA or every nice plot twist or every well acted emotion to explain to me how much better this all is than the Prequels within 15 minutes after the end credits. You might say I am overly pessimistic and I hope you are right. But most of those who, like me, genuinely like and enjoy the Prequels will not believe that the bullying and harassment are over now simply because there is a new film that we will like too. I will go to the cinema with mixed feelings, not because of The Force Awakens but because of too many of my fellow Star Wars fans. The fact that Lucasfilm chose to make its PR campaign for TFA revolve around sucking up to Prequel-bashers surely did not make any of us feel any better about this. 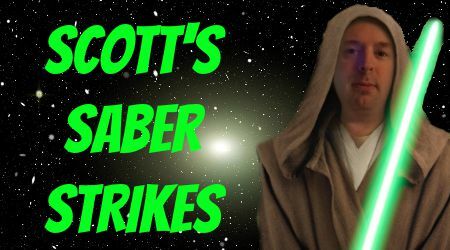 Prequel bashing did not have it’s time Scott. It should never have happened this way. It has caused rifts and injury that runs deep. 16 years of unabashed bullying are not swept away by saying: it was enough! It wasn’t good but now it is enough … it was just wrong as bullying is always wrong! I am not saying everybody should like the Prequels, neither am I saying people are not allowed to say they don’t like them or to express what they don’t like about them. Like any other form of bullying (“Why can’t I tell her every day she’s fat? Why can’t I tell him every day his father is a lazy migrant!”) Prequel-bashing (“You’re a simple-minded uncritical moron with no taste if you like the Prequels … every normal person dislikes them”) is simply wrong. It won’t stop until those who don’t like the Prequels grow the courage to call prequel-bashing what it is … needless, nasty and pointless bullying of people simply because they like something. Thanks for the comments. My original title for this blog was changed and the one they changed it to may not actually sum up the point I was making. The original title was centered around how the bashing has become way worse than the films could ever be. I like the prequels fine, but I have problems with them as well. I just don’t think they “ruined Star Wars”, nor do I now hate George Lucas for them. I went into the theater in 1999 knowing it wasn’t going to be the same, and I think others didn’t do that. My point is the re-hashed talking point complaining that haters are still using today. To me it’s gotten so old, it’s hard to take any of it even remotely seriously. I also don’t understand what it accomplishes now other than fighting and (as I mentioned) eye rolling. As I mentioned before, it’s so nauseating to see a Star Wars conversation online about the prequels (or even another topic) and see people still saying things like “Those films are garbage. Lucas destroyed Star Wars.” It just seems ridiculous to me to see people not have it all out of their system yet, or just still find the need to hit others with their dislike for a 10-15 year old film. My blog was about that faction of the haters. You’re talking about people who make it personal and that’s a little different. And yes, it shouldn’t happen. At the end of the day, people should never be attacked for liking something that another person doesn’t. I think talking about why someone didn’t like EP1-3 in regular conversations had its time. We all know there are people that hated them, and we don’t need to be bombarded by those reminders consistently 10-15 years later. It’s silly. I think the reason why prequel-bashing is still going on is because it never was about merely stating one’s dislike about this or that aspect of a film. It has become extremely personal from the get-go, first against George Lucas, Ahmed Best and Jake Loyd, later also against Hayden Christensen and (to a lesser extent) Nathalie Portman. Finally, given that these people were not available for abuse it just turned personal against any prequel-liking Star Wars fan who dared to publicly say so. I am not suggesting that everyone who has genuine criticism of the Prequels & who says so is a Prequel-Basher, but in my experience the people who ad hominem attack the artistic integrety of Lucas and qualify him as the destroyer of Star Wars are not just suggesting they don’t like these movies. There is a rage and a vitriol there that runs much deeper and turns on anyone who disagrees with them. The reasonable StarWars fans like you who don’t think the PT is that great but neither see it as that bad have in the past 15 years failed to take a stand against fan behaviour that is just bullying. I do think this rift will not heal in our community if as a whole, those who like the PT and those who do not like it, we do not stand up for respectfully treating eachother. I do worry that if we fail on this count it is just a matter of time before Sequel bashing becomes a thing, if not after Episode VII, then after VIII or IX. I don’t think any of this is about anyone “failing to take a stand”. There are plenty of people like me who can have rational conversations and be against people who get personal. Suggesting people aren’t taking a stand is also to suggest that doing so would silence those who enjoy getting people upset and angry. No matter how many “stands” anyone takes…those people are going to still throw their vitriol at anyone who will listen. The key now is to STOP listening. Part of the reason I wrote this blog was for everyone to recognize how tired the bashing is getting. That is not only a message to the bashers, but the PT fans. Quit giving those people the power to upset you because that’s what they want! People who enjoy taking things to the extreme are looking to get reactions. The moment people quit falling into the trap of arguing and getting upset, the less interested they’ll become. Instead of worrying about them, now’s the time to indulge in what makes you happy. If the Prequels make you happy – in the end, that’s all that matters. You know you’re not alone in your fandom. Star Wars is going to be offering you plenty more in the coming years. As time goes on, there will still be extremist trolls who complain because it’s a hobby. Fans are in control of how much impact that can make on them. They shouldn’t be able to ruin anyone’s fandom. That’s granting them too much power. Part of the problem is that the flames are being fanned, not by internet trolls, but by the professional media: websites like io9.com and Barnes and Nobles’ Sci-Fi and Fantasy Blog or magazines like EW and Time that always look for opportunities to bash the prequels/Lucas publicly and claim that all fans are disgusted with these movies. I simply roll my eyes when a fan disses the prequels. I get extremely pissed when the media disses the prequels and want to send angry letters and e-mails to these sites (but can’t). I can’t even look at an article about Star Wars anymore because they always involve prequel-bashing. The more prequel-bashing, the less likely I’ll see The Force Awakens. The real test of the new movie will be if it brings in new fans. I think there is a 50/50 chance I personally won’t like it, but if it makes new fans like TPM made me a fan, then I will call it a success. Well said Scott Amen and I couldn’t agree more. It’s been 16 years where in a new era of Star Wars now. It’s time to let the endless bashing of The Prequel Era and The Prequel Trilogy go. Embrace all of Star Wars and each era. Scott, I love what you have to say here — about appreciating Star Wars for what it is (even embracing those … issues … that could have been a bit stronger*), and looking forward to everything coming up with the unbridled enthusiasm we experienced, say, Christmas morning! 🙂 Long ago, I turned a deaf ear to the complainers. Well, it isn’t that I don’t hear them. I just don’t listen. * For the record, the OT wasn’t “perfect” either. In fact, even ROTJ — my favorite film in the entire Saga — had a couple of shortcomings. One scene, in particular, always comes to mind when I feel that the actors involved delivered their lines a bit more … oh, how should I put it? Not naturally, I’ll say. I see that every single time I watch the movie. Does it take away from my overall enjoyment of watching ROTJ for the umpteenth time? Certainly not! Without the prequels, I doubt we would be looking at a new, major film in December. Love ’em or not, they helped get us here. I applaud your comments on prequel-bashing and think they are spot-on. But I can’t help thinking it hilarious that just below them is an enthusiastic review of “a sci-fi fix for those that miss Firefly.” The neverending moaning over the cancellation of Firefly has become my own personal “Uncle Rico” issue that Just Won’t Go Away. While I’m not a prequels basher myself, I wouldn’t say I’m their biggest champion either. I can watch them even though I have certain problems with characters, story and dialogue. I can accept them as Star Wars movies, and in the end… that’s all that matters. I might as well say the same about the Original Trilogy movies. All six movies that Lucas had made are STAR WARS movies, despite their flaws. And the 1977-83 movies had their own set of flaws, just as much as the Prequel movies did.